With summer just around the corner, we see constant reminders about getting in shape for swimsuit season. Magazines offer annual tips for slimming down. Pencil-thin models show us the bodies we can’t possibly achieve. We may feel inspired to shed a few pounds, but most of us don’t take these media messages too seriously. For the small minority of people with eating disorders, however, the relentless pursuit of an ideal body can have dire or even deadly consequences. Scientists had long believed that eating disorders were primarily triggered by cultural pressures or psychology. “But over the past decade, there’s been a real revolution in thinking about the factors that lead to eating disorders,” says Dr. Cynthia Bulik, director of the Eating Disorders Program at the University of North Carolina at Chapel Hill. “We now have evidence of the substantial role that genes can play.” People who are genetically vulnerable may be more susceptible to cultural cues. 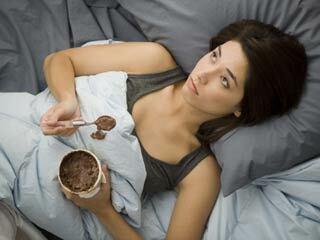 “They may start extreme dieting or binge eating. That could lead them down the path to an eating disorder,” says Bulik. The result is that, when faced with a full-length mirror, people with eating disorders take self-criticism to extremes. They excessively focus on body weight and shape. They have an out-of-control urge to eat either far too much or far too little. Accurate data on the number of people with eating disorders has been scarce. Earlier this year, however, Harvard scientists reported results of the first nationally representative study of eating disorders in the U.S. They found that, overall, 4.5% of adults, or over 9 million people, have struggled with eating disorders at some point in their lives. The study also found a surprisingly high number of men with eating disorders (see “Statistics” box). Eating disorders are complex conditions. The three most widely recognized are anorexia nervosa, bulimia nervosa and binge-eating disorder. Anorexia nervosa is the least common but most deadly of the three. People with this disorder become dangerously thin, often by severely limiting their food intake, exercising excessively or using self-induced vomiting, laxatives or other “purging” techniques. Malnourishment may lead to osteoporosis and anemia. 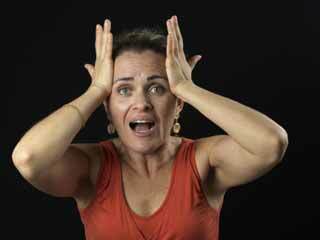 Women lose their menstrual periods. The third disorder, binge-eating disorder, also involves frequent episodes of binge eating, but without the compensatory behaviors seen with bulimia nervosa. “As you can imagine,” Yanovski says, “if you frequently eat large amounts of calories without compensating in other ways, you’ll gain weight. That’s why binge-eating disorder is often associated with obesity.” And with obesity comes an increased risk for diabetes, stroke, heart disease and certain cancers. Binge-eating disorder, unlike anorexia nervosa and bulimia nervosa, is not officially recognized as a psychiatric disorder. But the Harvard study found that binge-eating disorder is by far the most common of the three, affecting nearly 3% of the population. In contrast, anorexia nervosa affects 0.6% and bulimia nervosa 1%. Eating disorders are treatable, but better treatments are needed. Current therapies usually involve a combination of medical and psychological approaches. 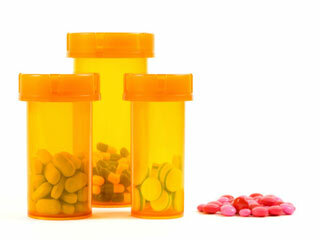 Doctors sometimes use antidepressants or other medications. But the only one approved by the U.S. Food and Drug Administration is fluoxetine (Prozac), for the treatment of bulimia nervosa. One path to improved therapies is a better understanding of the underlying genes and biology. Studies of families and twins provide strong evidence that genes contribute to all three major eating disorders. An international research team—led by Dr. Walter Kaye, now at the University of California, San Diego—has found regions of DNA that may hold genes associated with anorexia nervosa and bulimia nervosa. Their findings inspired a 5-year NIH-funded study to identify specific genes that influence anorexia nervosa risk in hundreds of U.S. families. The initial results are expected later this year. Yanovski notes that most people with bulimia nervosa or binge-eating disorder will admit to their behaviors if asked directly. In contrast, those with anorexia nervosa often deny their symptoms. “If you ask why they’re not eating, they may say they’re not hungry or they’ve already eaten,” Yanovski says. If you’re the parent of a child you suspect may have anorexia nervosa, don’t hesitate to act. "Given that anorexia nervosa has the highest death rate of any psychiatrix illness, it always should be taken seriously," Bulik says. "Never assume its a passing phase." Refusing or unable to maintain at least 85% of normal body weight. 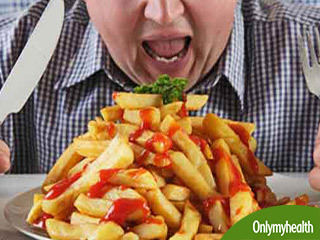 Repeatedly checking body weight, carefully portioning foods and eating only very small quantities of only certain foods. 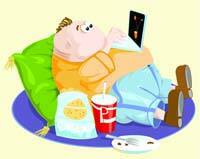 Recurrent episodes of binge eating at least twice a week for 3 months. Going to extremes to compensate for eating—for example, making yourself vomit or abusing laxatives. 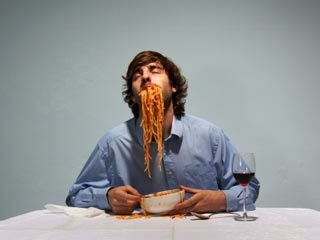 Feeling out of control when eating a large amount of food, at least twice a week, for 6 months. Experiencing extreme distress about overeating. Is Eating Disorder a Mental Illness?